A haul of herbal cannabis worth an estimated £100,000 was seized by police, it has been revealed. Detectives from Reactive and Organised Crime Branch, working in partnership with officers from the National Crime Agency (NCA), searched three houses in Lisburn, Belfast and Antrim in connection with the seizure. 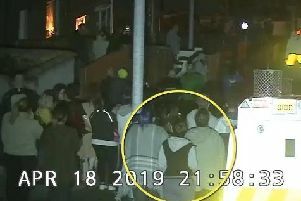 One man was interviewed in connection with the seizure and has been released pending further inquiries. Detective Sergeant Patrick Mullan of the PSNI Organised Crime Branch said: “The importation of illegal drugs causes significant harm within communities. To provide police with information call 101, or ring Crimestoppers anonymously on 0800 555 111.